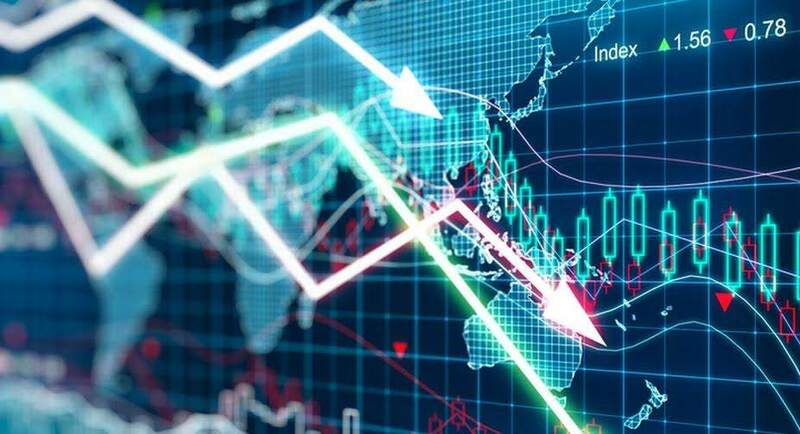 The BSE Sensex tumbled over 188 points on Friday to close at a one-week low of 34,915.38, extending its slide for the second straight session due to selling in auto, healthcare, metal and FMCG stocks. Unabated foreign fund outflows, disappointing earnings and a weak rupee added to the gloom. Global cues too were weak as investors eyed the outcome of US-China trade talks as well as the US jobs report. The BSE 30-share barometer opened higher at 35,144.96 and advanced to 35,206.55 in morning trade on value-buying in recently battered stocks. However, across-the-board profit booking at every rise pulled it down to a low of 34,847.61. It finally finished at 34,915.38, down 187.76 points or 0.53 per cent. This is its weakest closing since April 26, when it had settled at 34,713.60. The gauge lost 73.28 points in the previous session. The wider NSE Nifty too fell by 61.40 points or 0.57 per cent to end at 10,618.25. It shuttled between 10,700.45 and 10,601.60 during the session. On a weekly basis, the Sensex recorded its first drop in six, losing 54.32 points, or 0.16 per cent, while the Nifty lost 74.05 points, or 0.69 per cent. Meanwhile, foreign institutional investors (FIIs) net sold shares worth Rs 148.42 crore and domestic institutional investors (DIIs) sold shares worth Rs 578.92 crore in yesterday’s trade, provisional data showed.